The aircraft left Oslo-Fornebu Airport at 1700LT on a para dropping mission in the region of Lillehammer. While approaching his destination at low altitude, the aircraft was shot down by anti-aircraft battery and caught fire. The captain attempted to make an emergency landing in a prairie located near the village of Lysegårdsjordet. On touchdown, the aircraft slid for several yards before coming to rest in flames. A crew member was killed while four others were injured. 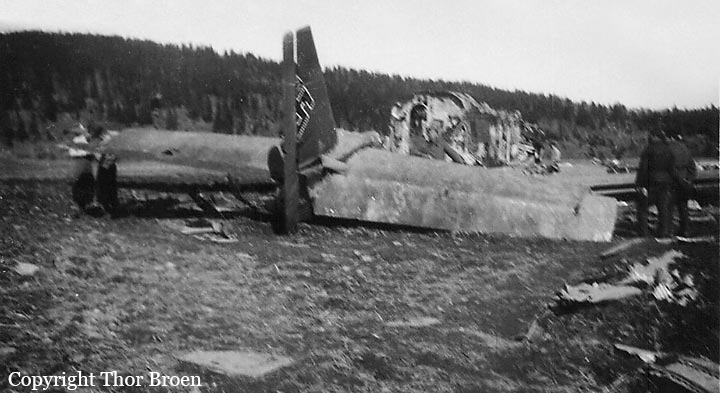 Shot down by Norwegian Flak.